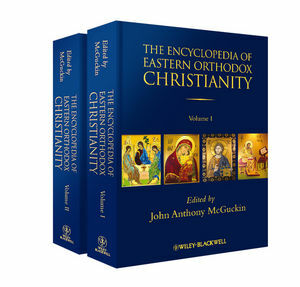 With a combination of essay-length and short entries written by a team of leading religious experts, the two-volume Encyclopedia of Eastern Orthodoxy offers the most comprehensive guide to the cultural and intellectual world of Eastern Orthodox Christianity available in English today. John Anthony McGuckin is Nielsen Professor of Early Church History at Union Theological Seminary, and Professor of Byzantine Christian Studies at Columbia University in New York. A Stavrofor priest of the Romanian Orthodox Church in America, Professor McGuckin is the author of more than twenty books on religious and historical themes, including The Orthodox Church (Wiley-Blackwell, 2008), and is widely considered one of the leading experts on Early Christian and Eastern Orthodox traditions writing today. "In the preface editor McGuckin expresses his joy in bringing together this two-volume reference - a resource that breaks ground by making accessible comprehensive coverage of a religion that is rising once again after enduring some of the greatest challenges of its history - the 20th-century repressive regimes of eastern Europe." (Booknews, 1 April 2011).